I rarely have a melt down in the grocery store, but I did yesterday. Normally, if an item I like isn't in stock, I shrug my shoulders and deal with it. But, not yesterday. Each week I buy a package of Ines Rosales Sweet Olive Oil Tortas, to have with my morning cup of coffee. There's no way to really describe how marvelous these crispy rounds flavored with olive oil, anise, and sesame seeds taste. The flavorings are lightly administered, in no way overwhelming your taste buds. 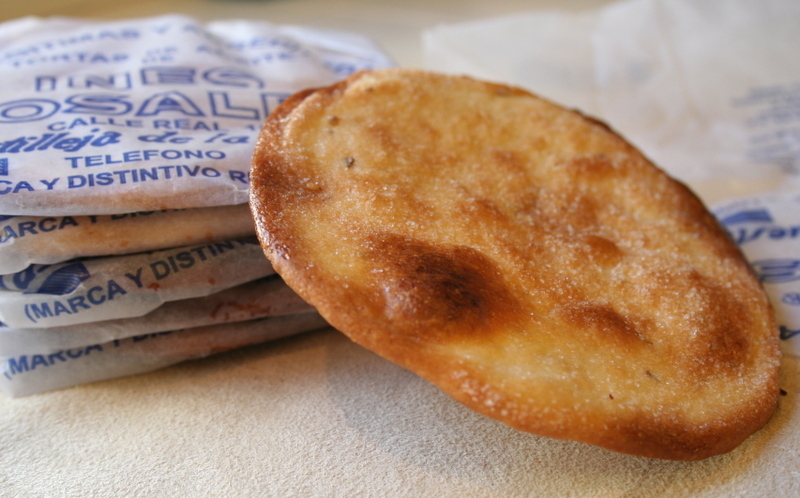 The top, dusted with a light coating of sugar, crackles as you bite into the torta. 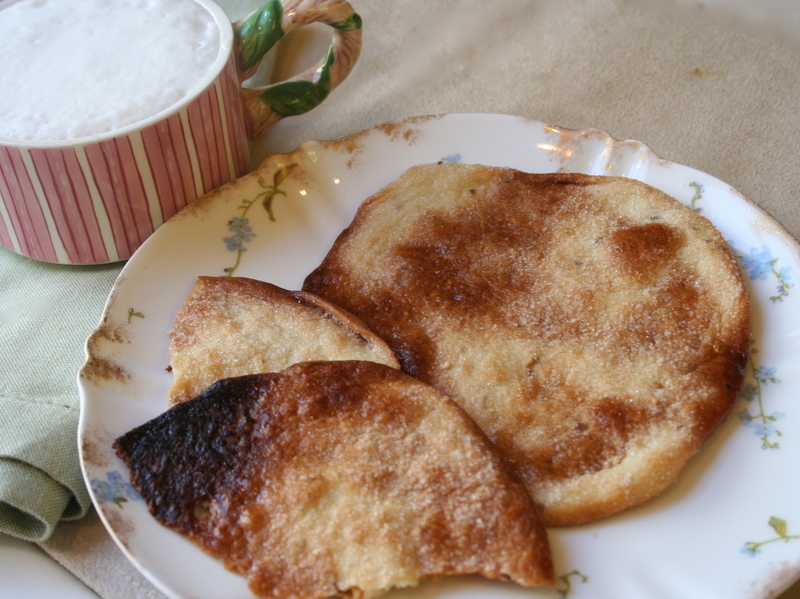 Eating one of these delightful "elephant ears," as they are sometimes called, is something I look forward to each day. So, when I didn't see them in their usual spot, I was taken aback, to say the least. I searched for them, in all the most likely places they might be in the store. They weren't there. I didn't shrug my shoulders and walk on. I found a clerk and asked where they were. He looked at me blankly and said, "What are they, a cookie or a cracker?" When I described them, he still drew a blank and began asking other clerks about them. They were all equally mystified. By this time I was starting to protest that they "couldn't not carry them, because I'm addicted to them now!" Finally, they located a person who actually knew what they were, and showed me their new location, next to the fancy cheese section. When I saw them, I yelled, "Thank God!," smiling at him in gratitude. Then I told him menacingly, "Don't you ever stop carrying these things." He assured me that they were very popular and would always be there for me. But, just to be careful, I bought TWO packages of the tortas.